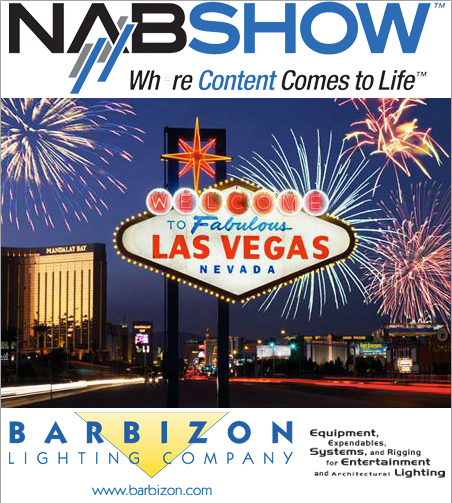 Three days in the desert.. Legs weary, lips chapped, but we press on to see all the things that can be seen at this year's show. 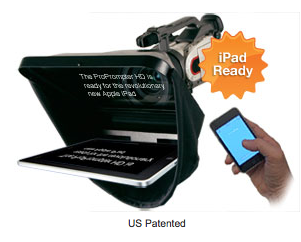 Cool things of note today: ProPrompter - So it's been a week and a half since the iPad came out and these guys have already made it into a teleprompter. They also have a baby version or iTouch/Phone for mini cameras.. Pretty neat. Now this is handy for everyone. Lots of us use Rip-Ties for cables, but traveling a lot I find my iphone and various USB cables get tangled and need managing. Well there's now a velcro tie for that. 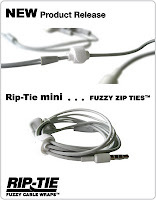 Rip-Tie Mini! They also have new attachments for regular cables, using buckles and easy snap-ons. Phrygian Gordium would be proud. 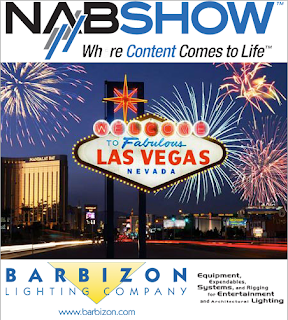 There's LED's everywhere and in the show report we will be telling you about all of them... New ones include: DeSisti, Videssence, Gekko, Arri, and we're just scratching the surface. So I ran across this audio company from Sandwich Illinois named JK Audio. They do a lot of radio stuff so they really have not been on the radar. But they have a widget that I think the production community is going to love. It's a Bluetooth adapter for intercom beltpacks. 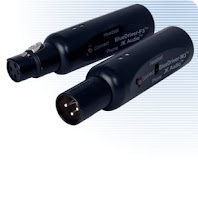 Plug this unit into the headset jack and you can pair it with a cell phone or any bluetooth headset. Ok.. that's clever. Now you'll want to make sure your headset has a mute.. and you'll be able to see the call button - but even with those little wrinkles it's a pretty darn cool idea. I was hanging out at the SeaChanger booth checking out the interviews that Jim from Jim on Light and Justin from iSquint bathed in light from the new NEMO fixtures that use the Luxim's LIFI plasma lamp source.. and heard that hopefully in time for LDI in October they are working on a big brother for the Color Bug. Here's some hints, Light Level, Color temp &.... CRI measurement. Bring it! It will make testing all these LED's that keep coming along a lot easier! Ok - it's been a long day.. need to sleep.